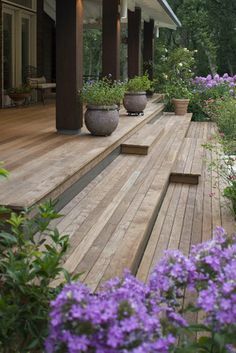 Several species of tropical hardwood are outstanding deck materials, and none is more enthusiastically received than ipe. Pronounced epay (rhymes with eBay), ipe is incredibly dense and hard, resistant to insects and rot and, best of all, is simply gorgeous. 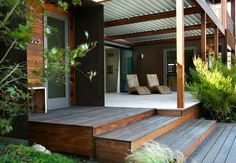 This ipe deck buying guide provides comprehensive information about ipe pros and con, ipe prices, deck maintenance and much more. This guide and the others we’ve created allow you to compare ipe head to head with pressure treated wood, cedar, composite and the other materials you’re considering. Ipe is a hardwood grown in Central and South America, with a large percentage of it coming from Brazil. The wood is sold under other names including Brazilian walnut and pau lope. It has earned the nickname “ironwood” due to its extreme hardness of 3,600 on the Janka scale (compared with 690 for PT lumber and 580 for western red cedar). Due to its hardness, ipe is often used in commercial projects. Notable locations are the Atlantic City boardwalk and the Treasure Island Resort in Las Vegas. The lumber is used in furniture and hardwood flooring as well as in decking. 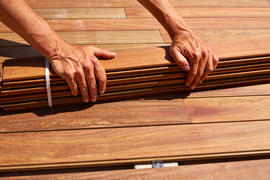 Deck builders give it high marks for stability, meaning it resists warping and twisting. Ipe has no visible knots to mar its beauty. 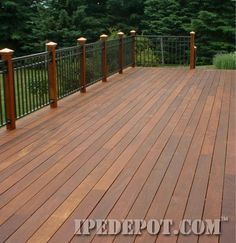 The preferred ipe (epay) decking is made from the heartwood, which is a rich olive brown that can be nearly black. Highlights of purple and slight striping are found in some ipe heartwood. Ipe sapwood is white, off-white or yellow, is not as dense and is not considered as premium a deck material as the heartwood. 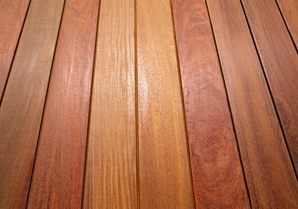 Ipe decking is available in a wide range of sizes with 1”x4”, 1”x6” and 5/4”x6 being the most popular dimensions. The wood is very dense, so it doesn’t take stain as readily as softer woods. Be sure to use a penetrating stain recommended by your ipe retailer or deck builder. If you just seal ipe without staining it, the wood will age to a silver/gray color. The stain you choose should be water repellent and resistant to mildew. Because fastener holes must be pre-drilled, it takes longer to build an ipe deck than a PT lumber deck. If you’re hiring a deck builder, this might increase the cost. How Much Does it Cost to Build a Deck Using Ipe? Here are current ipe decking prices in its most popular dimensions. Using these prices for ipe decking boards, total deck costs can be estimated. Keep in mind that the substructure of ipe decks is almost always pressure treated lumber. When railings, stairs, posts and accessories are factored in, this is what you should expect from ipe deck estimates. Deck repair is costlier than building a new deck, since old boards must be removed and structural repairs might be required. Look for these brands to ensure good quality material. When you follow a regular schedule of cleaning and maintenance, your deck will last 30-50 years. This brief tropical wood and ipe deck Q&A covers commonly asked questions. 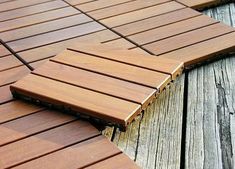 How does ipe compare with composite decking? The average cost for ipe is higher, the wood is harder than composite, so resists denting and scratching better. It weighs slightly more than composite, though both are fairly heavy. Ipe requires staining and/or sealing every year or two while composite is maintenance-free. Ipe turns silver over time if not stained; most composite decking will fade with age. Expect an ipe deck to last 35+ years; composite decks should last 50 years, but they haven’t been around long enough to know for sure. Are there any other tropical hardwoods that cost less than ipe? 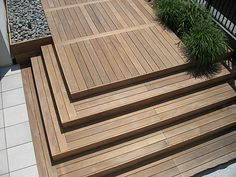 Cumaru, garapa and cambara all cost less than ipe decking, though don’t offer the same hardness or durability. The quality of installation is an important factor in the enjoyment you receive from your deck because it affects appearance, durability and performance. 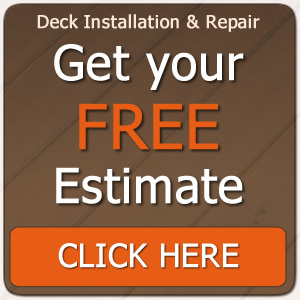 When you’re ready to find a qualified deck builder where you live, we can help. The service we offer is free, and there is no obligation. Fill out one quick, convenient form with the basic information about your deck project, and you’ll receive written estimates from three local deck installers that know they’re competing for the work.